Is There Life Insurance Available That Starts My Coverage Right Away? Yes, there are instant-issue life insurance plans available for qualified applicants. Qualified usually means you must be healthy and qualify based on your answers to some health questions asked when you apply for your policy. Several insurers now offer an online application process to get you insured quickly. However, some people may be looking for quick coverage because they have a health problem and want to try and get insured before it gets worse, or they pass away. If you have Health Issues, there are Guaranteed Issue life insurance plans available for people ages 45 to 85. If you are Healthy and want life insurance protection that starts right away, you can request a free life insurance quote from Haven Life. Haven Life offers the quickest and easiest way for healthy individuals to get the insurance coverage they need without any of the hassles, delays or having to go through a medical exam. You just request your free price quote, apply online for your coverage – which takes about 10-15 minutes, and then you find out usually within minutes, if you qualify for a policy. Once you are approved for coverage, just select a premium payment option, and start your coverage immediately. What used to take up to 4-6 weeks for a consumer to get their life insurance policy now takes as little as 15-20 minutes. How Much Immediate Life Insurance Can I Buy? You can choose from $100,000 up to $3,000,000 of quick issue term life insurance coverage. Is There a Medical Exam Required? Healthy individuals can qualify to start their coverage immediately with no physical examination required. Each life insurance policy comes with a 30-day money-back guarantee. Can I Buy Life Insurance for My Spouse, Too? Yes, you can purchase a life insurance policy for your spouse, too. Money Back Guarantee – Risk free, 30-day money back guarantee. And Yes, once you start your policy your life insurance begins immediately – the very same day! Haven Life may not be right for people with significant health concerns, such as diabetes or COPD. If you have a pre-existing health condition, you may want to consider Guaranteed Approval Life Insurance with no health exam and no health questions asked. Haven Life's sole focus is to provide reliable term life insurance policies without the hassle and delays of medical examinations or waiting periods. Those who qualify can apply for a life insurance policy entirely online and receive an answer in minutes. 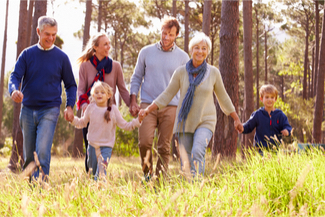 Haven Life offers an innovative alternative to conventional life insurance and is backed and owned by MassMutual, which has received superior financial ratings by A.M. Best and other leading credit rating agencies. Overall, Haven Life delivers a convenient, flexible, and innovative product for anyone looking for a quicker and easier way to protect themselves and their loved ones. Massachusetts Mutual Life Insurance Company, which underwrites all Haven Life term policies, boasts an excellent issuer credit rating and is deemed to have a strong capacity to meet its financial commitment and repay short-term debt. MassMutual currently holds an A.M. Best rating of A++ (superior), an S&P rating of AA+ (strong), and Moody's rating of Aa2 (high quality and very low risk).